ecomère started as a coating without a company. As the need to be able to test and prove the merits of ecomère became more evident, Ovante was formed and our first test chamber was created. This chamber creates a variety of intense, accelerated life tests that include constant spray, high temperatures, and high humidity in corrosive immersion environments. We are also equipped to conduct temperature-swing tests, ranging from sub-zero to 120 degrees Fahrenheit in a matter of minutes. Ovante’s testing facilities aren’t limited to controlled chambers. We routinely use the open sea for salt/marine life testing. Marine life causes serious damage to coatings. Through three separate tests, ecomère has been exposed to a total of 26 months in the sea. 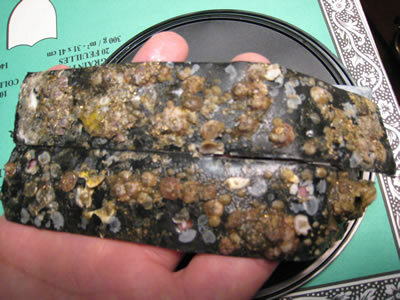 In all three tests, barnacles clung to the coating but never penetrated it or embedded in it. In fact, the barnacles could be picked off with a fingernail. Another naturally occurring and highly corrosive problem comes from buzzards. Buzzards roost on transmission towers and poles. Because of the nature of what buzzards eat, the acid content in their digestive systems is extremely caustic. Through regurgitation and through their excrement, buzzards take a huge toll on the hardware and structures they use for habitation. Ovante immersed ecomère coated construction components in a 92% sulfuric acid solution to simulate the pH found in a buzzard’s digestive system. This test lasted 60 days. Under normal conditions, most of what a buzzard leaves behind is washed off in the rain, or dries up and blows away. Under this constant acidic bombardment, ecomère fared better than bare, galvanized steel. 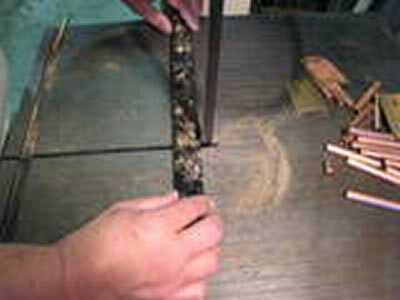 In 2011, Ovante performed a test to show that ecomère could cover the old polyurethane AND existing rust blemishes. If this worked, it would mean that ecomère could be applied with the need for blasting and grinding the steel substrate. 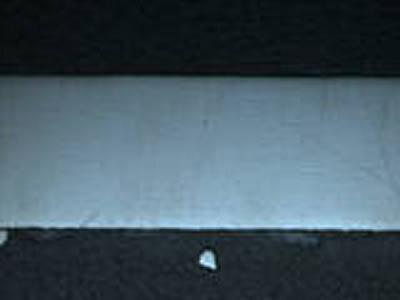 Portions of steel coupons were sprayed with a leading, two-part polyurethane. The remaining bare portions each had a rust blemish created with salt and hydrogen peroxide. Then the coupons were coated with ecomère and placed in the test chamber. After 90 days, both the coupon embedded in clay and the coupon embedded in gravel were cross-sectioned. ecomère was still adhering to the old coating and had prevented the rust blemishes from spreading or going deeper into the steel. The coupon that was subjected to 130 degree temperature swings (from -10 to 120 degrees Fahrenheit and back) for 90 days revealed the same results. ecomère did not delaminate, expand or contract, or release from the old coating. The rust blemish was contained.